Gluten Free Chocolate Mock Mounds and Almond Joy Candy. Mock Mounds and Mock Almond Joy Candy. This Recipe is Gluten and Casein Free. Melt chocolate and coconut oil together. 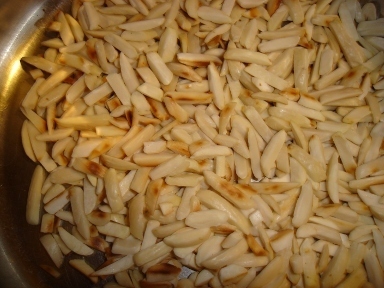 when chocolate is nearly melted, dry roast almond slivers in a pan at medium high on stove. Be careful not to allow to scorch. It doesn't take long. You will see some browning, but avoid blackening. 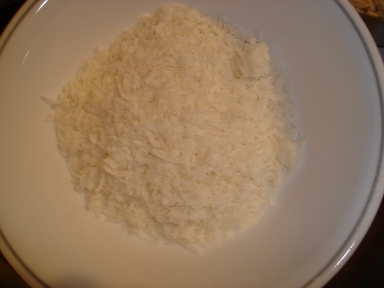 Add to flaked coconut and mix well. 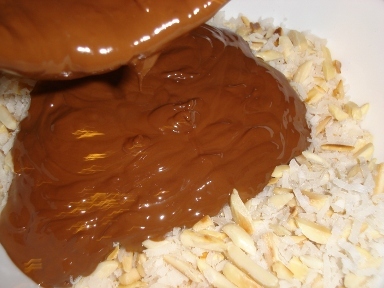 Pour melted chocolate over the almond mixture and stir in well. Set onto waxed or parchment paper by 1-2 teaspoonsful at a time. Let set and enjoy! 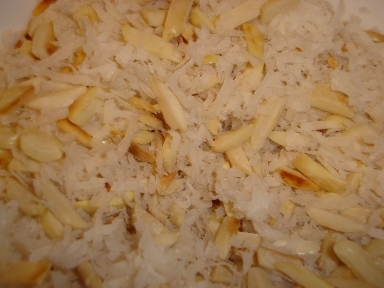 Omit almonds and increase the flaked coconut to 1 1/2 cups. Add melted chocolate to coconut and mix well. Set up as above on waxed paper. Will set in about 20 minutes in the refrigerator, 45 minutes at room temperature.